On the night of May 11 of this year, 100 APG members and supporters “stood up” for historic preservation at the Alhambra City Council meeting. APG President Chris Olson gave a presentation advocating for Alhambra’s adoption of a preservation ordinance and delivered a packet of educational documents that included a sample historic preservation ordinance and APG’s Preservation Myths and Facts to each of the Alhambra City Councilmembers. She also challenged Alhambra’s council to hold a study session so they could learn more about the preservation of historic buildings. While the City Council has yet to schedule a study session on this issue, the update of Alhambra’s General Plan began in mid-May and the survey that was distributed to residents in June included questions about historic preservation. You may be aware that our city is now engaged in the process of creating a new General Plan – one that will guide Alhambra’s growth and development for the next 20 years. 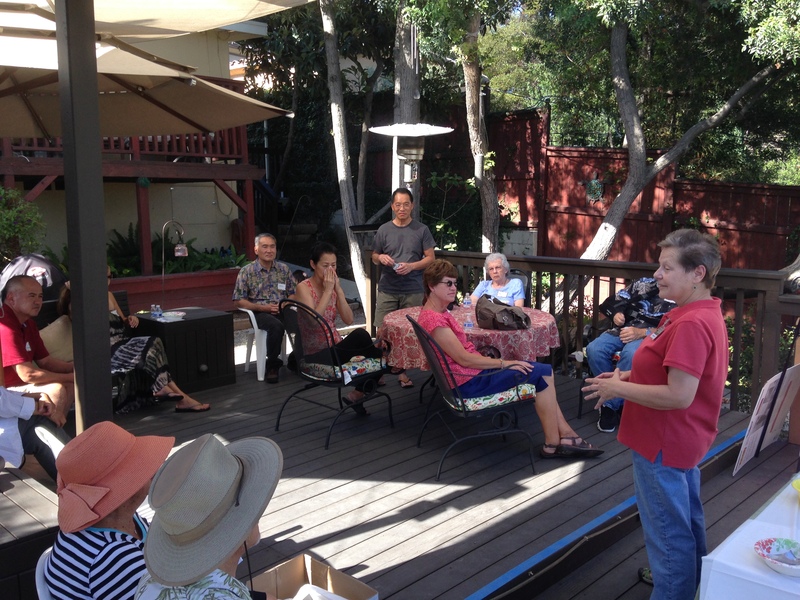 During the open comment period that ended in July, APG organized three ice cream socials hosted by the owners of Heritage Award-winning historic homes. These casual events were models of citizen engagement, and they generated lively discussions about our visions for Alhambra’s future. The next step in Alhambra’s General Plan process is the release of the draft General Plan. 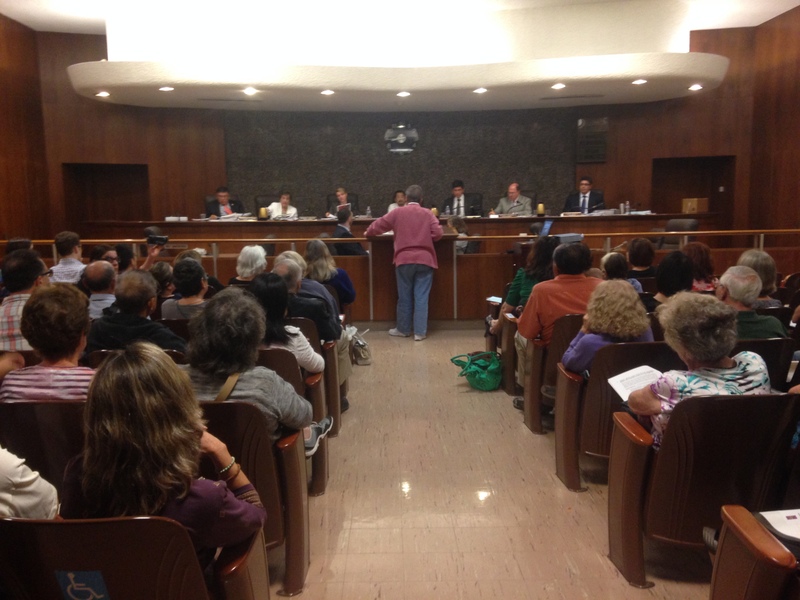 It looks like the City of Alhambra will host its next community meeting in January 2016. We will be sure to notify you once the draft plan has been released to the public for review. How Can You Become an Advocate for Historic Preservation? Learn about the benefits of historic preservation and think about what home or building is irreplaceable in your own neighborhood. Contact your Alhambra Councilmember and share your thoughts with them on preservation-related issues. Talk to your neighbors and friends about what you’ve learned and encourage them to also do Steps 1 and 2. Today, Halloween with its haunted houses, fright fests and trick-or-treating are commonplace in America, but these ghoulishly fun fall antics weren’t always the norm. A century ago, this holiday was very different. 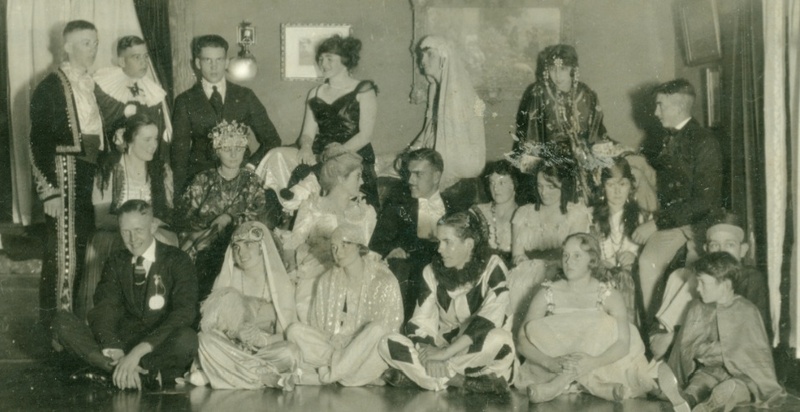 When this photo of a Halloween party was taken in 1919 at the Alhambra home of Elizabeth Reynolds on Huntington Drive, the All Hallows Eve holiday was more about the masquerade than getting the ba-jeebers scared out of you. The young adults in this photo were probably attending a Halloween costume party. The evening’s games may have included bobbing for apples, biting donuts off of a hanging string, and carving a jack o’ lantern or two. They may have even played a new Halloween game called The Shivers, which was introduced that same year in the New York Tribune. The Shivers was a game where different “wooly, slimey, cold or wobbly” items were passed around in total darkness among the party-goers. Anyone dropping one of the articles was out of the game. The menu at this Halloween party may have included Sandwich Imps (sandwiches cut in the shapes of demons, cats or owls), and a Jack O’ Lantern salad (hollowed out apples cut to look like jack o’ lanterns and filled with fruit salad). 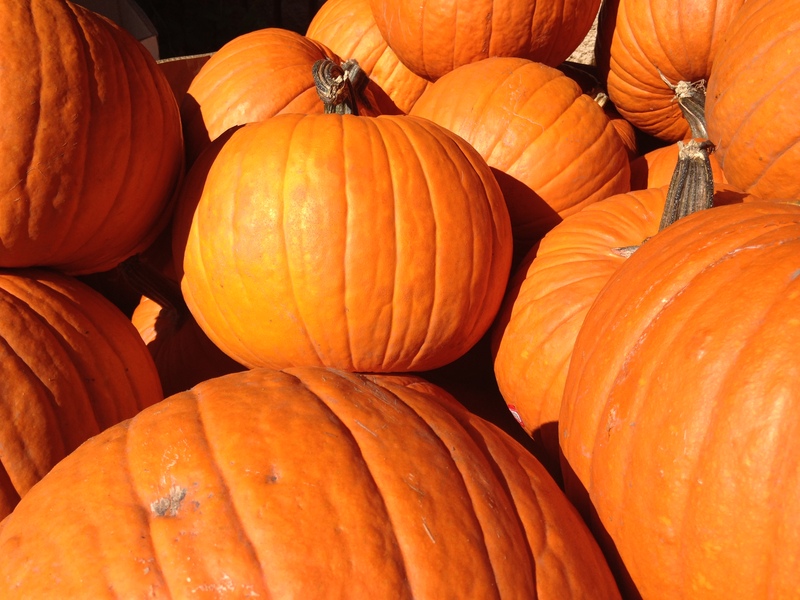 What’s your favorite Alhambra Halloween memory? Share it with us in the comments section below. Photo courtesy of Tom Geer.